The holidays are quickly approaching and lots of businesses have taken this time to shut the doors and start preparing for 2018. You might be doing this too. Perhaps you’ve already decided that you won’t be making any more money this year. There is still money to be made during the holidays and I am here to help show you how to do it. Here are 4 ways you can still make bank this winter. Think about how the average person makes the decision to buy something for someone they love. They say something like “What does she need?” You want to be the answer to that question. You do that by shifting your offer so that it’s less general and more specific to a situation. For example, let’s say you do leadership training. A way you could shift that offer for the holidays would be to focus on training people to put on even better meetings. Suddenly your offering because a really cool and specific gift for a boss to give their mentees or a husband to give their wife who has been complaining about how the meetings are going. Action step: How can you make an offer so specific it feels brand new? This goes along with #1. Is there an audience that doesn’t usually get access to your content? The holidays are a great time to embrace some new markets. Let’s say you are a yoga teacher and you work mostly with people in your neighborhood. You could offer yoga class packages to some of the local high-rise business buildings as gifts for their employees and workers. Action step: What new market could use your offering? BONUS: What market could you see giving your offering or product as a gift? Have an old e-book or product on the shelf that you’ve retired? Have an offer you don’t do anymore but are open to doing for a little while? FLASH SALE TIME! A lot of your audience might not have seen some of your old stuff. Put it on sale for a limited amount of time. Action Step: Go through your archives? Do you have anything old that is brand-new to your audience? Usually offer something BIG? Offer something small that you’ve never thought to offer before. Usually offer something small? Go in-depth with a select few people with a limited package. The holidays are a great time to try something new and because it’s the holidays, you can limit the numbers and make it more exclusive. That also makes the offering more scarce! 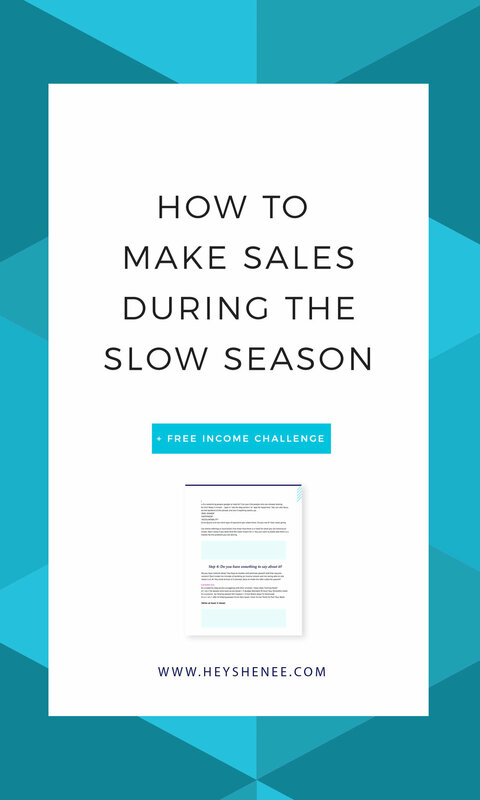 If you want help designing a limited-edition income stream for your business, just in time for the holidays, sign up for my FREE workshop. It’s called Idea To Income Stream.